I tiptoed into the room, so that Ruchi did not hear me come. She was a cute girl five year old wearing a pink frock and draped in her mother’s stole, dressed like a teacher. The class was unusual! There were twenty students in all! The youngest was a cute monkey, and the oldest was grandma in spectacles. They all sat in five rows. Ruchi liked to enact the teacher on Sunday with all her toys lined up, facing a small blackboard hung on the wall, complete with chalks and duster. There were some colored chalks too…. to draw the pictures! The students were Ramu, the small elephant, Barbie, the cute doll in pink with lovely tresses and eyelashes with curls to match, Dennis a little boy with naughty eyes,Tarzan draped in lion cloth, Jane with a cute bikini, and Spidy the awful spider and Mr Croc, the green eyed evil looking crocodile. ‘Why have you not done your homework’ the young teacher scolded the Bunny rabbit in a stern tone, as the poor Bunny stared back innocently. ‘You must call your mummy’ she continued in even firmer voice. I smiled as I watched the poor rabbit getting a mouthful. ‘ Now children, let us sing, ‘Humpty Dumpty Sat on wall’ she changed the track after admonishing the little rabbit, and continued with the rhyme full of action, slowly adjusting the stole which was falling off her dainty shoulder. ‘Ok children, tun, tun tun,’ she echoed, time for recess! I came from behind and picked up the little teacher and planted a kiss on her cheeks! She looked at me sheepishly and grinned. ‘You know she does not understand the count in English beyond twenty’ she chirped. ‘Will you teach her?’ I enquired, looking into her wide open innocent eyes. ‘Sure papa’, she promised and held my arm as we walked out. Beautiful story about a cute little girl and her father. ;) Reminds me of a Czech song we have where a father is watching his little daughter, princess, sleeping and contemplates how fast she is growing up and that soon she will leave to find a prince, leaving the father feeling like a king. Was always my favorite song when I was a little girl. Aww! Sir, this was ridiculously cute. It reminded me of so many things at one time .. I still remember seeing my niece imitating mami wearing jhumkas and putting on a dupatta and bindi and all! It was such a joy! Children are such beautiful creations I swear ..
And I apologize for missing out on your blog, my net wasn't functioning! nice blog, Rahul..thanks for visiting me. I will be back again! What a lovely lovely story! So cute and sweet. I was like that in mu childhood days. Thank you for sweetening our day with your sugar! Such a precious post, Rahul! I felt like you were a fly on a wall of my room when I used to do the exact same thing as a child! When I wasn't 'teaching', I transformed the chalk board into a 'house' by draping some fancy cloths over the top of it ha ha! @Kalaiselvi- Thanks! I am happy to have stirred some old happy memories..
@ Zuzana- Am so happy that despite in the process of moving house you could scribble so many lines describing your sweet memories! Your blog is something I look forward to..
@ Crystal- Thanks a ton for liking this one. I look forward to your sweet posts as well..
@ Sovina- Am so happy you liked my blog! Thanks, and I too enjoy your nice blog..
@ LadyFi- Am honored with those kind remarks..
@ Spiderdama- Thanks a lot and am happy you liked it! @ Cloudia- Very kind of you for the generous praise! @Lady Fiona- I am elated with those remarks! It gives me immense happiness when someone can relate what is written to their lives and brings back happy memories! Very beautiful and sweet story. I was remembering my childhood days. What a cute story, Rahul. Its a memory to be cherished and savoured frequently so that it does not fade away. Thanks for sharing. @Babli- Thanks, Babli for liking this one! 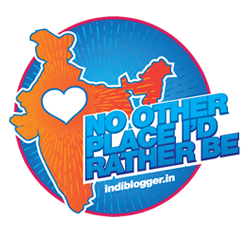 @ Arnab- Welcome to my blog and thanks for those kind words! @ Rachna- You are right! These memories keep coming back and thoughts drift to cherish them!! so sweet ....it refreshed my memories. When I was a small kid I loved seeing myself as a doctor and used to issue prescriptions to my patient who was my grandma always. So cute! I have two sons, and it is such a pleasure these memories. Thanks Rachna! Children are such a bundle of joy! How very cute and sweet. Loved reading this. Thanks Janhvi.. Children bring immense happiness..